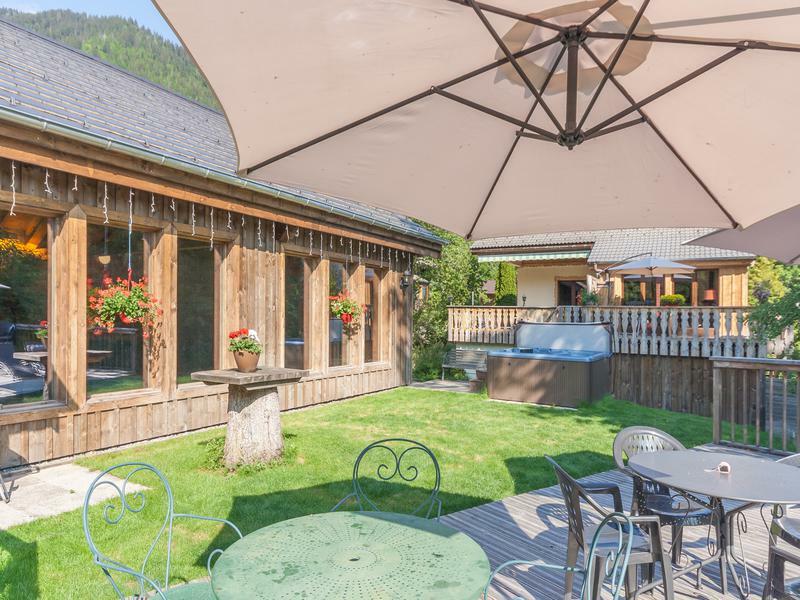 This imposing chalet is for sale in the picturesque village of Essert Romand, which is only 5 minutes from Morzine. 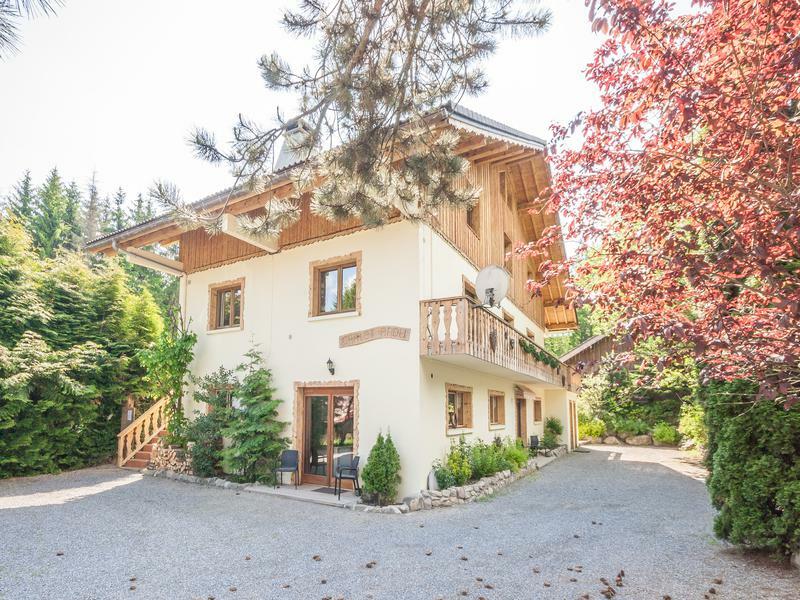 It has a 130m2 swimming pool in a separate building, a sauna and outside hot tub and is an excellent investment opportunity. There is a large triplex 7/8 bedroom apartment, a 3 bedroom apartment, and two 1 bedroom apartments, one with a private terrace that has stunning mountain views. 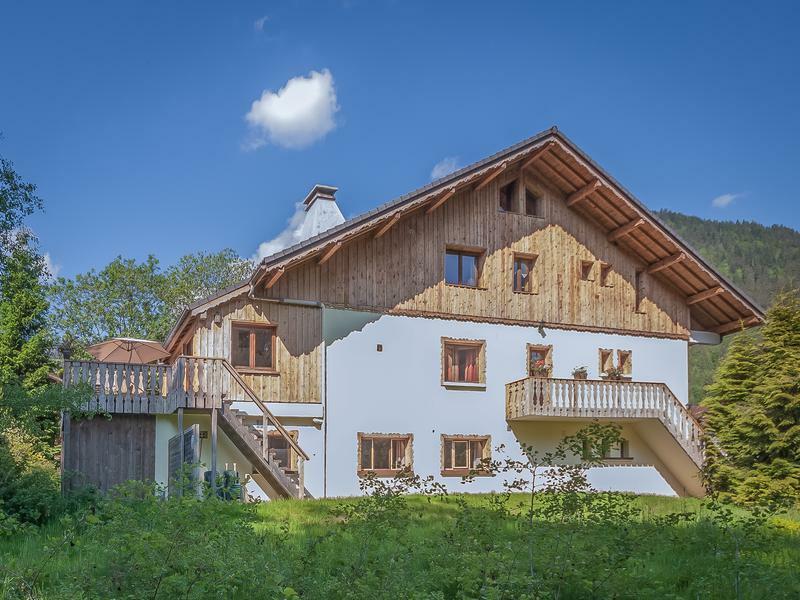 There is also a studio for staff accommodation, a large boot room with 50 sets of ski boots, a boiler room housing a Chappee oil fired boiler and ample storage space. 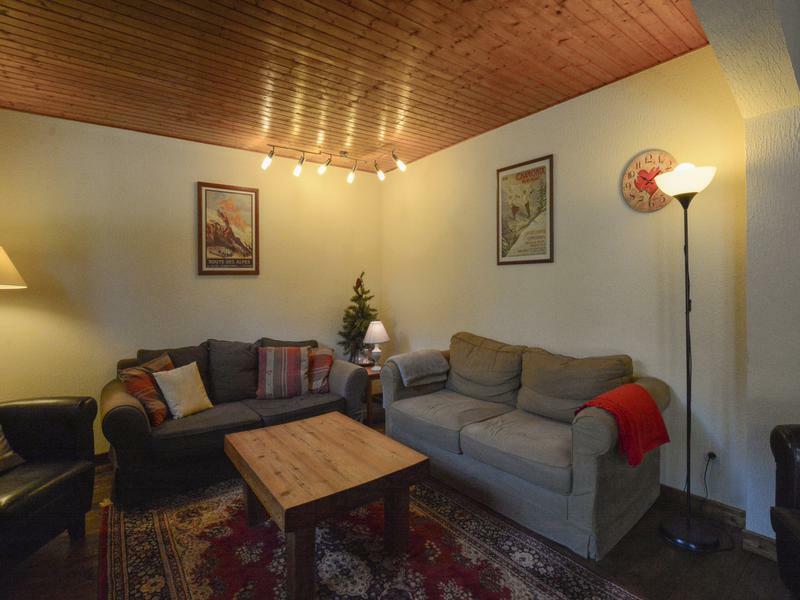 The chalet comes fully furnished and includes a 9 seater minibus. - living room with kitchen, bathroom and bedroom with double bed and bunk beds. 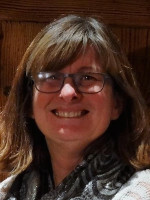 – Large boot room with 50 pairs of boots and skis and snowboards that are for the clients. This leads to the boiler room and a laundry area that has a shower and toilet. – Entrance hall with store cupboards and a bar. 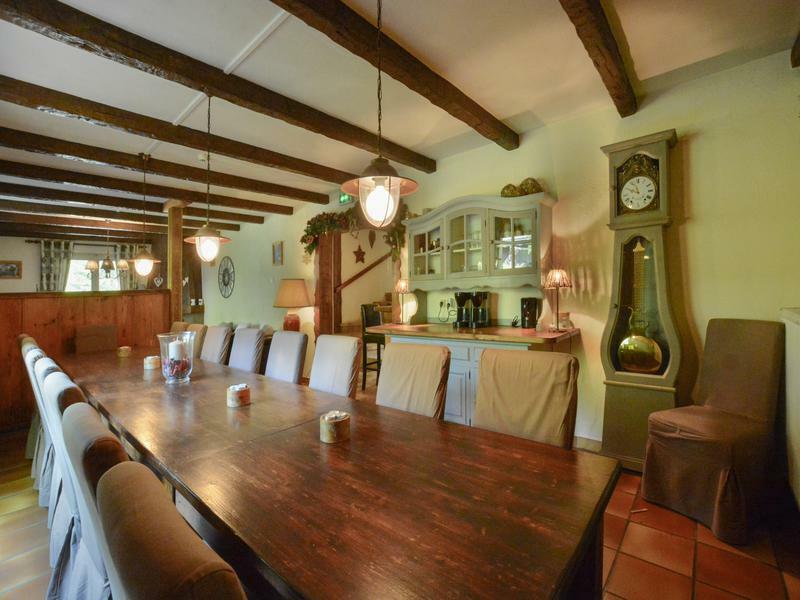 Open plan living space with an open fire in the lounge and a dining room that can seat up to 24 people. Fully equipped kitchen with 2 fridges, 2 electric ovens, a gas hob and 2 dishwashers. French doors lead out onto the terrace and the balcony. 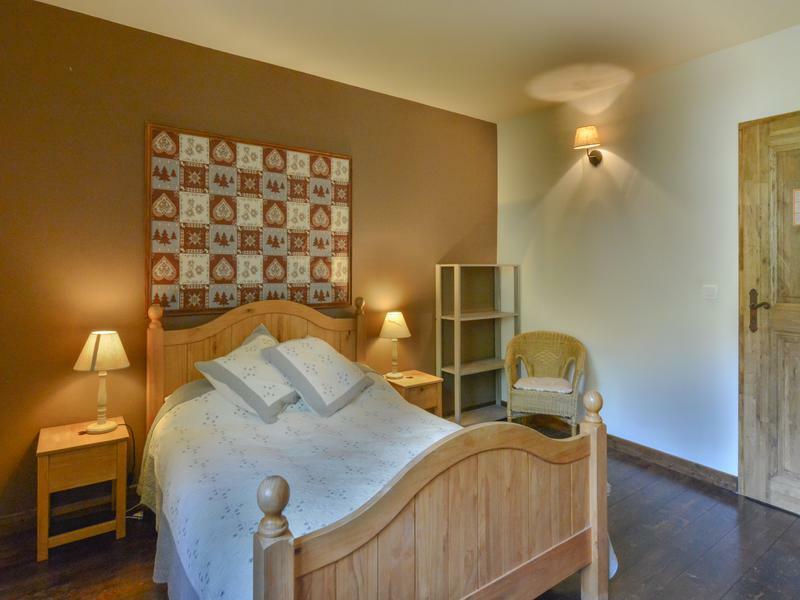 Two family bedrooms with a double bed and bunk beds with an en-suite bathroom and a double bedroom with an en-suite bathroom. Stairs lead up to three bedrooms all with en-suite bathrooms. One twin, one family with a double bed and a single bed and one family with a double and two single beds. There is a family suite on the top floor with 2 bedrooms and a bathroom. One bedroom has a double bed and the other has 4 single beds. 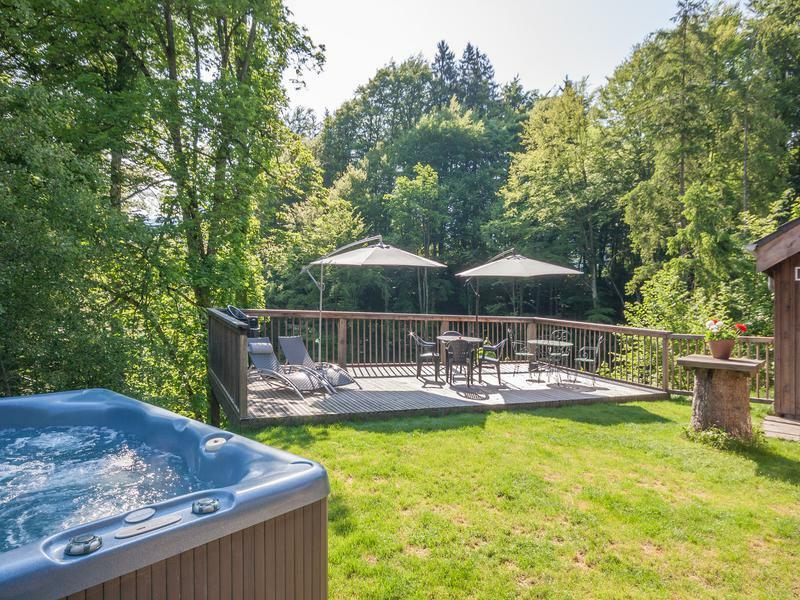 – The entrance is via a private terrace into a charming double height lounge with a wood burner, a kitchen with dining area and a double bedroom with en-suite bathroom. The sunny terrace has lovely mountain views. 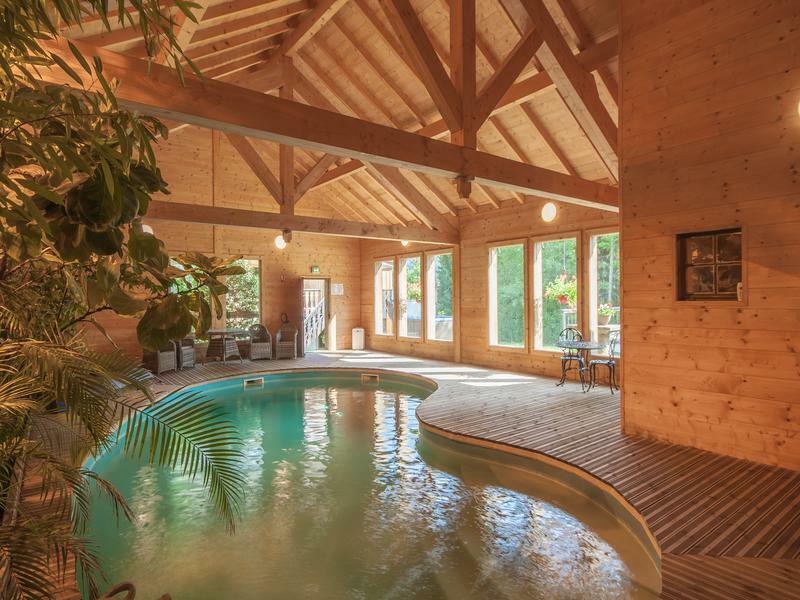 Wooden building housing the 130m2 swimming pool with a shower and a sauna. 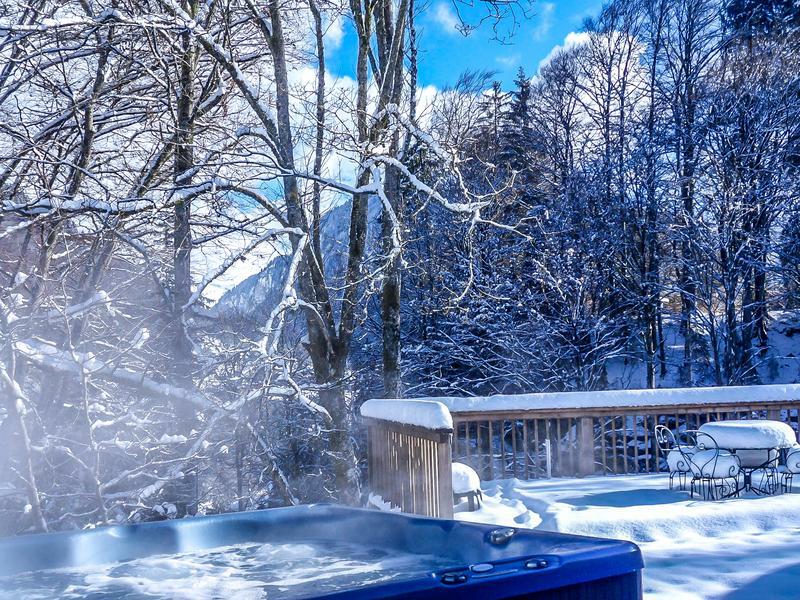 Hot tub and large terrace with mountain views. The garden is stocked with mature trees and bushes and there is ample parking for several vehicles. 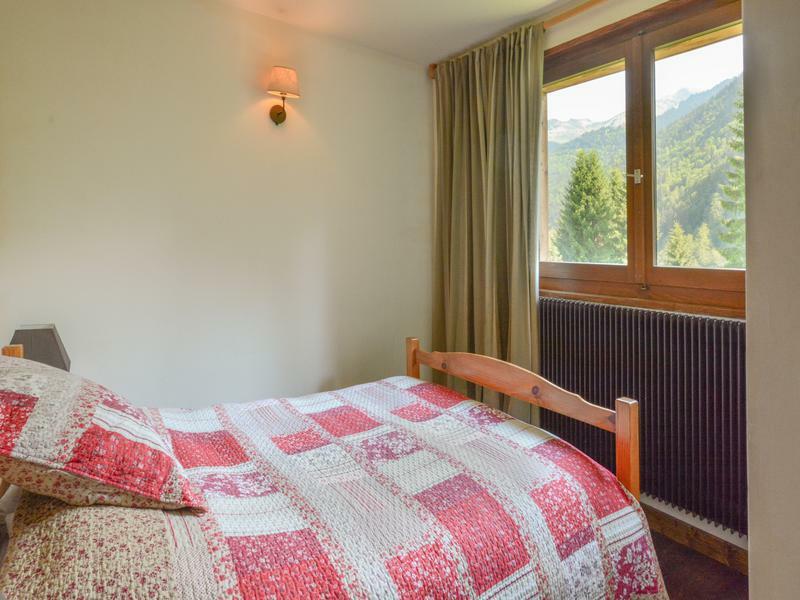 The chalet is currently being run successfully as separate self-catered apartments and the sale includes the furniture and equipment to continue the business.